1 - King Kong (1933) The classic Willis O'Brien stop-motion film with dinosaurs - tops our list! There are more dinos per minute here than in any other movie, and the story, action, acting …. all come together beautifully. The battle between Kong and the T-Rex is legendary. 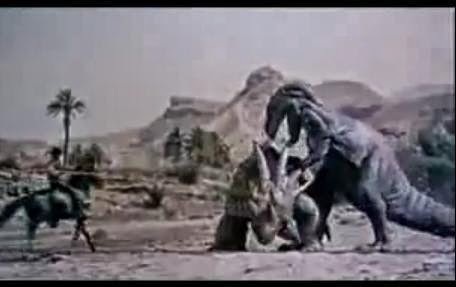 1 (tie) - The Valley of Gwangi (1969) tying for the top spot, Gwangi has a load of dinosaurs and dino battles (again in fabulous stop-motion), and a good story to tie it all together. Ray Harryhausen works his magic here, after learning his craft from Willis O'Brien. If you're a dinosaur fan, do not miss "The Valley of the Gwangi," rent it or watch it online today! It is a western version of King Kong, but with a Tyrannosaurus Rex being brought home for display to audiences, and breaking free. 2 - Jurassic Park (1993) The Michael Crichton. Spielberg movie that needs no introduction. 3 - The Lost World (1925) an incredible early silent movie with great dinosaur action. My favorite is: the T-rex pulling the pterodactyl from the sky and eating it, after a styracaurus gores an allosaurus. 4 - One Million Years B.C. (1966) Ray Harryhausen sfx save the movie from Raquel Welch. 5 - Beast From 20,000 Fathoms (1967) If this counts as a dinosaur, it's a solid entry. 6 - The Land Unknown (1957) A naval expedition is trapped in a remote Antarctic jungle with dinosaurs. Somehow they got real lizards to fight on screen! 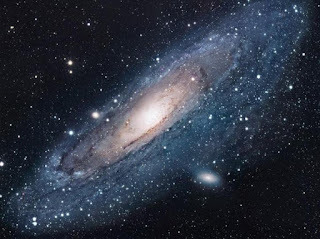 The rest are fabrications and puppets, but the story is good, and the dinosaurs are in every corner. 7 - Jurassic Park III (2001) The only good sequel to JP, this one has a good bite. 8 - Planet of the Dinosaurs (1977) Extra points for having a Centrosaurus... and ray guns. 9 - Valley of the Dragons (1961) The use of real lizards and elephants makes for some wild sfx, including a lizard eating a doll (meant to be a person). 10 - King Kong (2005) The battle of 3 T-rex against King Kong is phenomenal dino action. 12 - Dinosaur (2000 ) Animated movie. 13 - Lost Continent (1951) some great stop-motion effects here! We even get a battle between 2 triceratops. 17 - 10,000 BC (2008) Woolly Mammoths, dino-birds and Saber-tooth Tigers, prehistoric creatures we don't often see in the movies. 18 - Dinotopia (2002) average made for TV movie, but has good dinosaur moments. 19 - Island of the Dinosaurs (1967, Isla de los Dinosaurios) a Mexican production, not sure how they got fins glued to a crocodile, and horns on an armadillo... "A+" for imagination and effort. 20 - The Lost World (1960 version) More fins glued to the backs of crocodiles and lizards! Primeval, TV series from 2007-2012 (BBC) about dinosaurs coming into our time via a rip/portal, and a few creatures even from the future. Highly recommended. Dinosaur movies will always be popular; it's a fascination we can't deny.